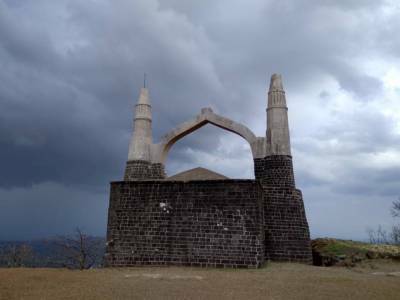 Shivneri Fort, better known as Shivneri, is revered by the Maratha community for its special significance as the birthplace of revolutionary warrior king of the Maratha dynasty Chatrapati Shivaji Maharaj. 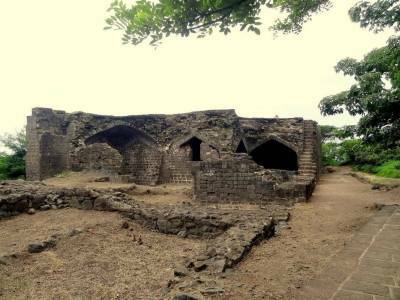 It dates back to the 17th century AD and is located in the Junnar town of Pune district in Maharashtra. Like all other hill fortresses built and occupied by the Maratha dynasty, especially headed by Chatrapati Shivaji, the fortress doubled up as a residential space as well as a military watchtower because of the way in which they were built gleaning maximum strategic importance for military alertness and warfare from the natural surroundings. Believed to be originally a dominion of Buddhist studies and religious discourse, successive attacks and ensuing battles carved out the fate of the fort in such a way that it was handed down in inheritance to Shivaji by his grandfather. 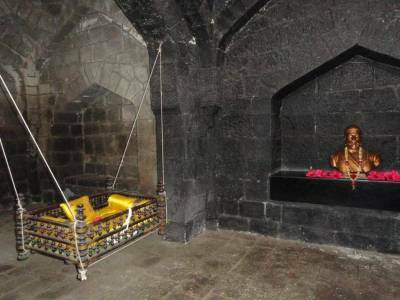 Shivaji had a temple construct in respect and reverence of Shivai Devi after whom he was named and the temple still stands erect as a witness of the times when the fort was at the peak of its glory days. The fortress walls built on ridges on the mountain extend one mile on each side and there are among the many gateways to the fortress, 2 entrances to the fortress, the main gate and a chain gate where one has to support himself on chains and propel themselves towards the fortress. The fortress has a complex residential system inside with lavish and flamboyant palaces, water tanks and reservoirs which are still active along with temples and other monuments built for the convenience and comfort of the inhabitants. The other gateways are strategically positioned along the perimeter of the fort. Shivaji protected this fortress and secured it as the center of his operations and the capital of Maratha kingdom successfully against many invasions till he finally succumbed to the British led forces. 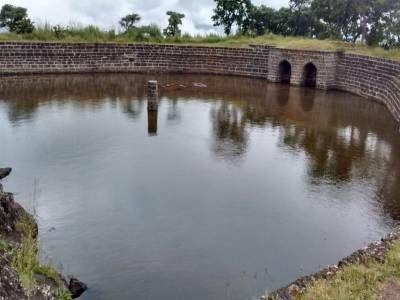 The fortress now a protected monument by the Indian government has many water springs and centrally position open pond inside. The pond is called Badami Talav and south of it are a system of caves wherein lies a Ganesha temple. From the top of the fort, other nearby forts which were connected previously by hidden tunnels or roads can easily be seen. This way we can well imagine how Shivaji maintained complete parity with the ongoing at his other strongholds. 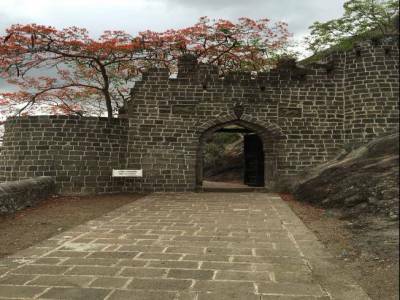 Get quick answers from travelers who visit to Shivneri Fort.